Every day when we go about our daily routines, we always have one very important partner in our pockets, our credit cards. We get to look at them as we use them so many times that their outlook, starts becoming a wee bit tedious in our eyes. We look upon the issue and decided to create a solution for it. Imagine having a credit card with your favorite color, imprinted with your own custom made logo, or an amazing looking dragon on it. Due to this, we decided to make CUCU covers. These can be personalized with any design that anyone may desire. CUCU is based in downtown Toronto and is part of Canada’s number one Business incubator — The Ryerson DMZ. 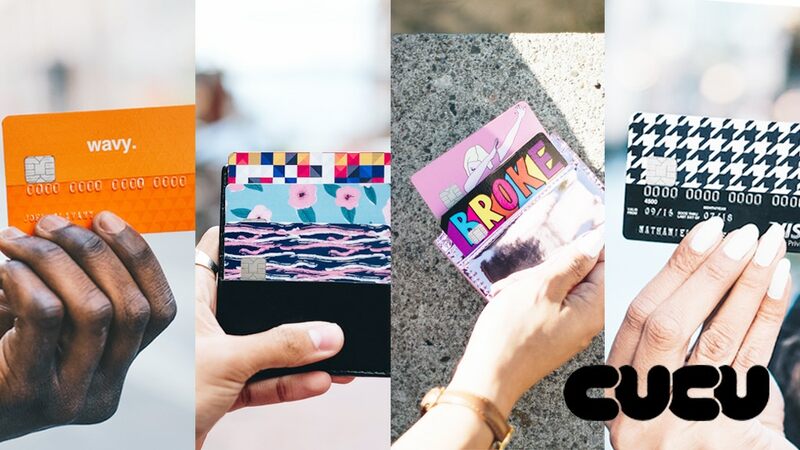 CUCU covers are manufactured using a special kind of material which ensures smooth and reliable usage in any credit card machine in the world. The covers come in distinct variations to fit all or any credit card there is and for even more efficiency they do not cover any essential information in the cards. After purchasing one and applying, after a while you might feel like you want to trade up and get another design. Our covers are easily replaceable so whenever you need to change the design it’s just a matter of ripping out the old and re-sticking in the new and more amazingly, they do not leave any scratches or residue at all after removal. Our products are now available on Kickstarter (link below) and are very affordable because our set the prices range from as low as $5.99 for ready made designs and $7.99 for a fully customized design so anyone anywhere in the world can get their hands on it with just a click of a button. Our company partnered up together with local non-profits art organizations so as to dig up hidden talents invisibly hiding in our streets and created the ‘SKETCH’ collection where by all profits incurred are donated directly to the respective artists and organizers. We availed a platform for talented artists all over the world to work with us in the making of our designs and we now currently have over 300 ready-made designs ready for the taking. Our vision is to cover the 1.2 billion cards in North America and trade up to becoming a Global Brand well known for its exquisite quality merchandise. We started off on this great journey after winning $25,000 in the Slight New Venture competition. After our company gains better traction on the market we plan on getting corporate contracts with professional sports teams and even sensational professional artists like J Cole and Drake. Every great venture always has its pros and cons. Funding our company requires huge amounts of capital which is not that easy to come by hence meaning that we have to put a lot of effect in our work so as to gain favor in the market which also means high-quality work from our company. Our cover idea is fresh in the marketing hence making us a unique company which is pretty good, but at the same time, people have a tendency of doubting new products landing on the market which also makes it a very tricky challenge for our company which is why we are providing affordable prices which when matched with the quality should neutralize all your doubts. Through out the entire global market that we have researched, we have found that CUCU cover cards are the only cover-cards available hence no competition whatsoever. Some people might see it as monopolistic issue since in many cases no competition means less quality and quantity available but as stated above, we have over 300 ready made designs in the pre-launch and more still in the making which means ready availability which you will discover when you buy one for yourself so you can be guaranteed that we have no intention of slacking. Final Words — Please Support Us! We aim to satisfy all out customers artistic, quantity and quality needs so don’t waste any more time, get one for yourself and make your friends die of jealousy when they see it. Experience the newest era of the fresh and ‘dopest’ credit card looks in the world. Stick it, swap it, and express yourself with CUCU. Check the link below for latest pricing and availability.